Marlo Thomas Huffington Post Blog featuring Dr. Kimmel: "Guys Who Get It: The Men of the Women's Movement"
Dr. Michael Kimmel toured New Zealand and Australia this past August. Plans are in the works to return to Australia next year. Pictured above is Dr. Kimmel speaking to employees at the South32 Mining Company in Worsley, Western Australia. Thank you to the wonderful folks there for your hospitality. Thank you New Zealand and Australia! 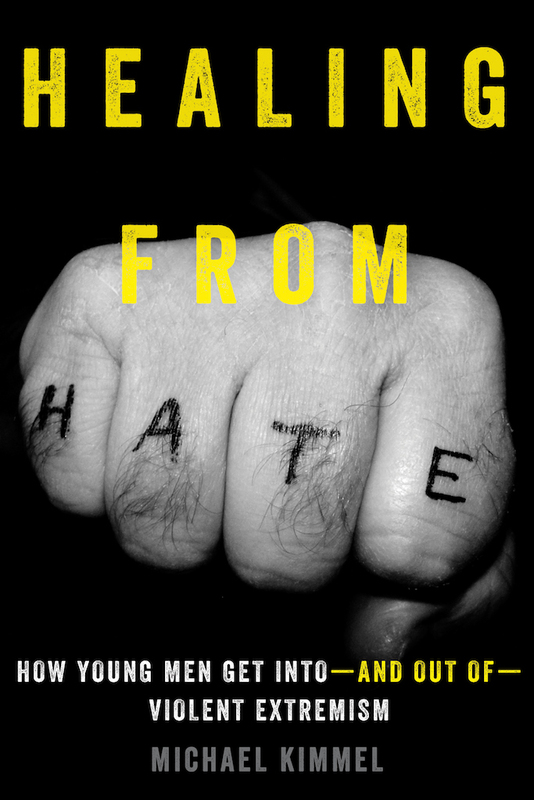 What draws young men into violent extremist groups? What are the ideologies that inspire them to join? And what are the emotional bonds that are forged that make it difficult to leave, even when they want to? The Cannes Lions International Festival of Creativity offered plenty of revelations about the latest and greatest innovations in the world of marketing this year. Not surprisingly, understanding the most successful means for brands to communicate with their audiences can offer significant insight into how communication is evolving socially, as well as commercially. From Virtual Reality changing the landscape of experiential marketing, to consumers' relentless demand for entertainment, and the new horizons for gender roles in advertising, the sociological nuances of consumer culture were hard to miss at this year's summit of creative minds. Read OnBrand's take on the marketing landscape, and the 5 Key Takeaways from Cannes Lions 2016, and consider what your own perceptions as a consumer reveal about your greater social attitudes. Thanks to all of the great folks at Northeastern University for giving me such a warm welcome. Have you seen Michael's much talked about TED talk? Click the image above to view the entire talk. It's finally here. After receiving many suggestions and comments on my previous site, I have "upgraded". I hope you enjoy the new site and content, particularly this main homepage where I will periodically blog.